21st Century Native Leaders podcast explores the dynamics of leadership among entrepreneurs, entertainers, politicians, and activists. In podcast episode 118, Peter Deswood III (Navajo) answers questions about issues and life on reservations. Thanks for following this podcast. In podcast episode 117, Marisa Mike (Navajo) and I talk about the clothing and design business she started. Marisa explains the ups and downs of running a business on and off the reservation and the support she has received from Change Labs (NABIN). Marisa is one of the sponsors of the ARIZE Fashion show in Tuba City, AZ that is held on April 5-6, 2019. Follow Marisa Mike Designs on Facebook or Instagram. In podcast episode 116, Zefren Anderson (Navajo) dialogs with me about how he started weaving. He also shares some of the history of Navajo weaving and the different types of rug textiles. 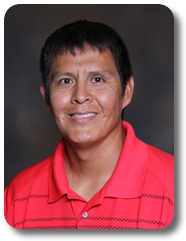 Zefren is part of the Dine be Iina-The Navajo Lifeway group. In podcast episode 115, Pete Sands (Navajo) talks with me about when he started playing a guitar and how he formed his band. Pete also talks about the struggles and highlights of his music career. Pete is also in the movie Yellowstone. Follow Pete Sands on Facebook and Instagram. In podcast episode 114, Loren Aragon (Acoma) talks with me about how he left a promising engineering career to start his business. He said he cashed in all of his chips to focus on ACONAV. What an amazing story of overcoming obstacles to operating a business. Follow Loren on Facebook, Instagram and Twitter: ACONAV. In podcast episode 113, Dr. Deborah Jackson-Dennison (Navajo) talks with me about some of the challenges and successes of leading Native American schools. She also discusses why she started her consulting business: Indigenous Ingenuity. Most importantly, she talks about the importance of Native voices being heard within schools. In this special podcast episode, I read several pages from Michael Lerma's book Guided by the Mountains. In this book, Lerma examines traditional funds of knowledge and explores leadership from the Navajo perspective. Lerma's words are powerful and I recommend all aspiring leaders to read this book! You can purchase the book from Michael by emailing him at yahuacaknowledge@gmail.com. If you would like me to read a section of your book, email me at pd_three@hotmail.com for details. In podcast episode 112, Kody Dayish (Navajo) updates us on the projects he is involved with. Recently, Kody received the Best Director - Native Cinema category at the Santa Fe Film Festival. Kody also talks about the special relationship he has with his family and how they support one another. Lastly, Kody will be a supporting actor in an upcoming movie titled, My Little One. In podcast episode 111, Stephanie Benally (Navajo) talks about the work she is doing to win the 2019 Casey Excellence for Children Award. Stephanie is a Native American Specialist for the Utah Foster Care system. She advocates for Native youth to placed in Native American homes. She shared that there are only about 10 Native American foster families to serve 118 Native American foster children in the State of Utah. In podcast episode 110, Loren Anthony (Navajo) talks about why he started Chizh for Cheii. Loren also talks about overcoming drug and alcohol addiction and how he started delivering wood for elders in his community. Lastly, he stated, "it's always been about helping people and selling hope." Follow Loren or Chizh for Cheii on Facebook, Instagram or Twitter. Copyright 2017 21st Century Native Leaders. All rights reserved.